Ok so I'm not sure about the legality of this one but I kinda guess nobody looks at this blog anyway so I won't get sued. 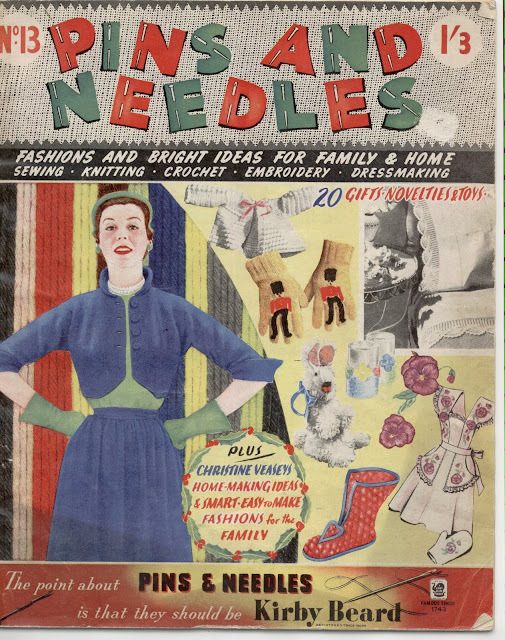 Welcome to my first installment of the serialisation I've decided to do of this antique sewing magazine from the 1950's. 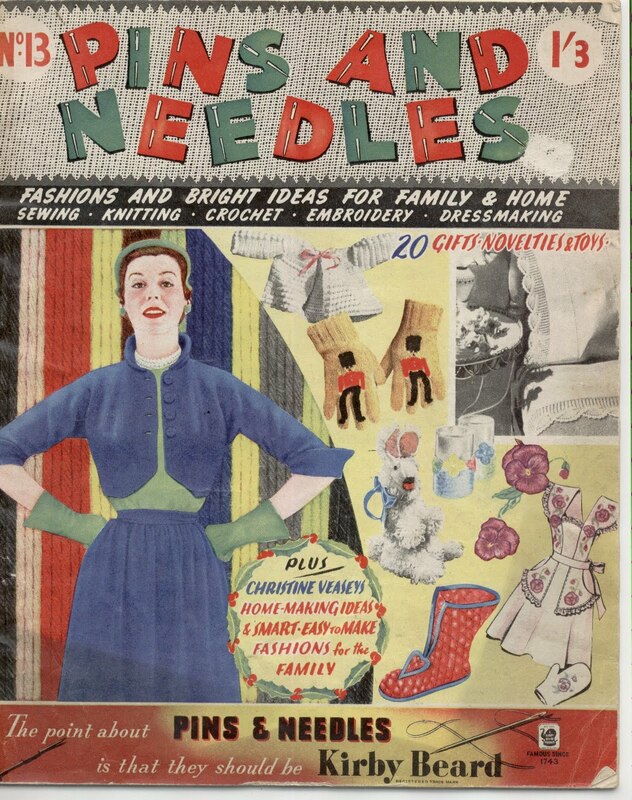 The front boasts "20 gifts, novelties and toys" but unfortunately they seem to include really curious 'quilted heart booties' and 'beefeater gloves' but then I'm a sewing purist and I rarely get excited about creating something for someone else (just like someone else who's blog I follow). 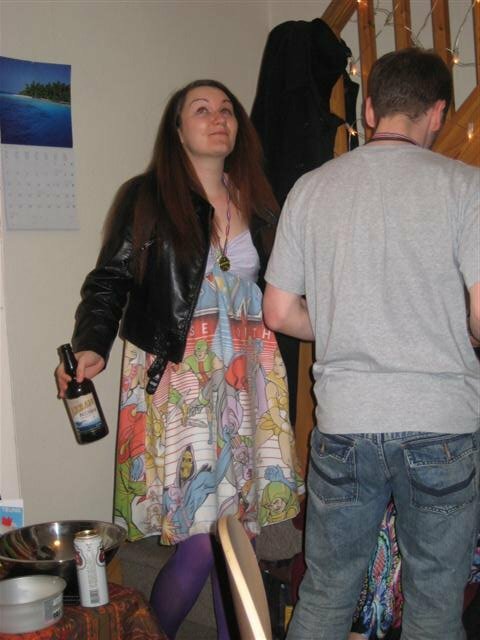 but hey - check out that apron... FABULOUS! 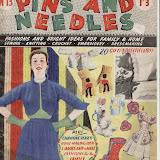 I picked up these sewing patterns on EBay over the last few weeks, they took FOREVER to come 'cos they were from the US. 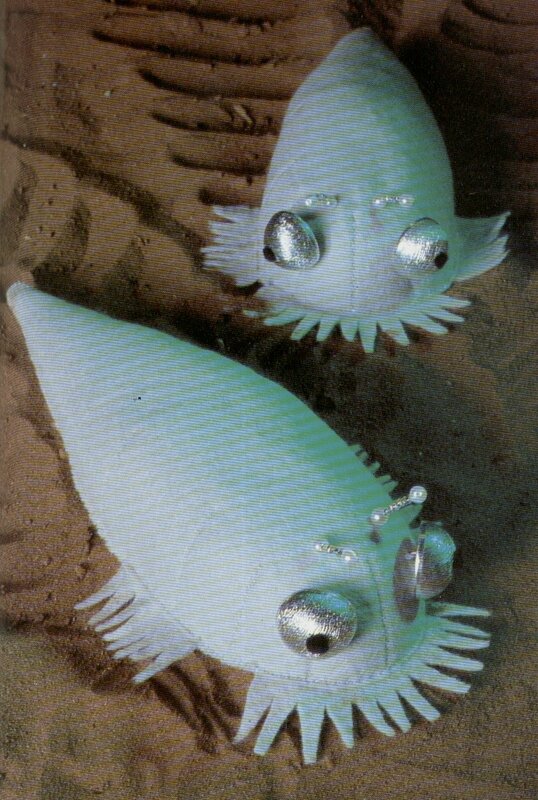 Aren't they amazing? so beautifully typically 1950's it just makes me want to spontaneously dance around the room 'swishing' an imaginary voluminous circle skirt some song from grease, or perhaps "Suddenly Seymour" from Little Shop of Horrors. I desperately want to make the first one but I think I've got to wait to after payday because I need to buy some paper to trace the patterns onto. The patterns are genuine 1950's 'antique' mail order patterns, they're made out of really really thin tissue paper which is really yellow with age so I have to trace the shape of the pattern pieces onto some other paper to avoid damaging the original with pins, weights and unnecessary handling. 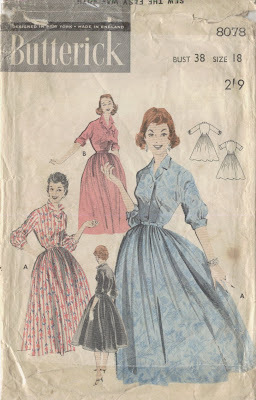 But I think I need to get some red fabric to make bias tape from because 50's patterns are binding-a-licious! Also, WTF?! size 20?! size 18?! gorram it 1950's for a decade that seriously did the curvy lady some favours in the style department, you sure as hell know how to make us feel huge with your STUPID size numbers. oh yea she did!!!! ... YUP! 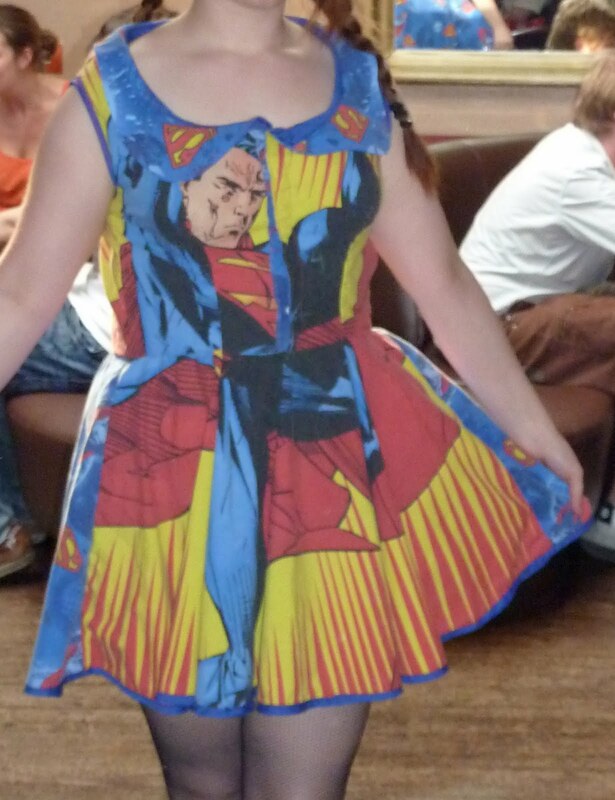 I took a superman suvet cover and sewed into this SUPER cute summer minidress! I'm SO proud of this one it's unreal... oh yea there are things I could've done better... nothing's ever perfect, but it's SO DANG close! As you can clearly see... (1) this dress makes me look like the side of a house (2) if you're not 'dressed up' it just looks like a nighty.... anywhoo... it still got me geek points at the party. Well... as fate may have it I got a very vintage looking Superman Duvet cover from a Colchester chairty shop (while I was in town for the above party infact!) 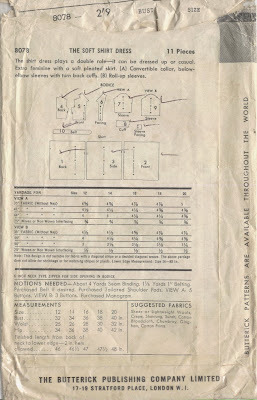 and felt I'd been given a dressmaking second-chance, If I was to reincarnate this bedding into something more wearable I was going to think about it more this time! Did it turn out as I planned?!? of course not! 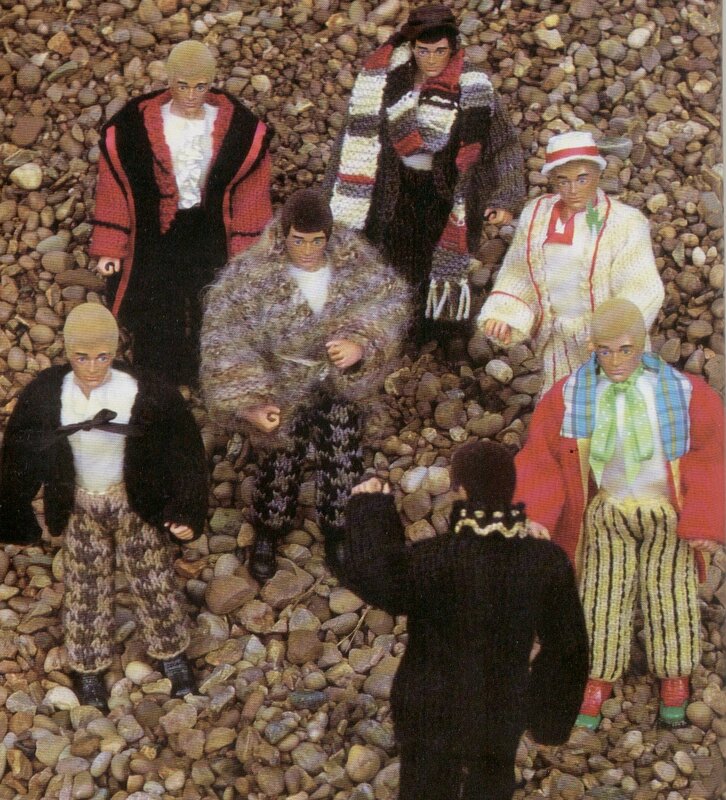 but the modifications to the plan, I think, suit the pattern of the fabric much better! than what I'd planned! First of all I use the Ute bouse pattern as a base for the top. As you can see on the burdastyle website, this version of the blouse has sleeves, I did intend to use these (even cut them out and interfaced the cuffs and everything) but I ended up omitting these because it has been BLOODY hot in the UK for the last week or so and I really wanted the dress to be finished ASAP. Then I used Grosgrain's tutorial on turning a blouse into a dress ... but of course! I didnt have to make the blouse and then cut off the bottom! 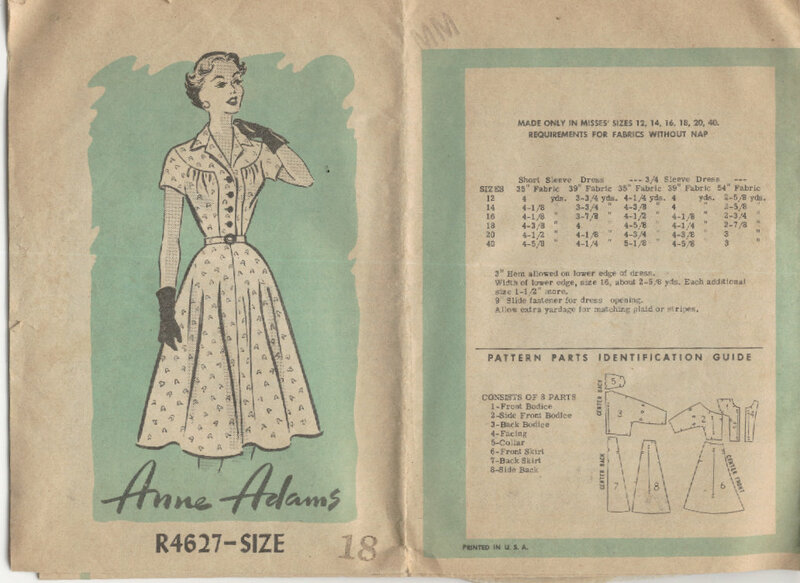 As it was a print at home pattern I could just simply cut off all the pattern pieces at the waist! 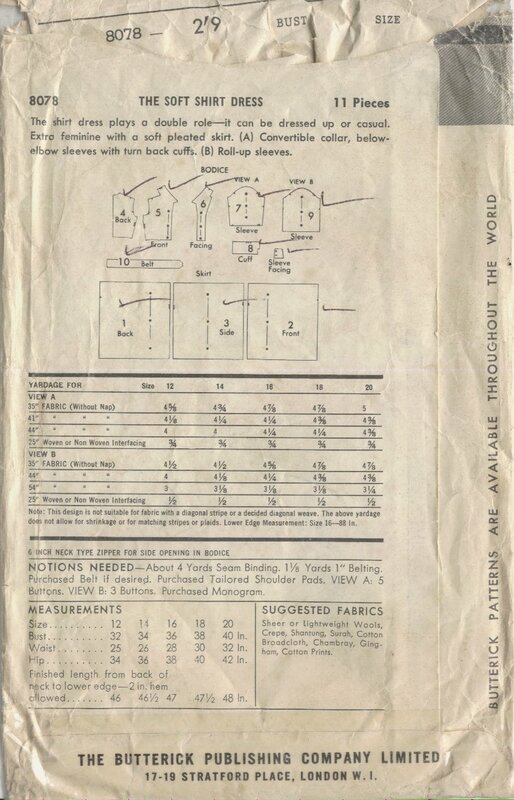 surprising how much fabric that saved! Originally I'd planned to make a longer ciscle skirt by adding panels ot the bottom... but again! it was hot and I was impatient! also ANOTHER cool thing about this dress.. the 'button' closure? PRESS STUDS! from the bottom of the duvet cover! upcycling FTW!! OO lookee what the postman got me! check it out! its a great shirt-dess pattern I got off ebay... 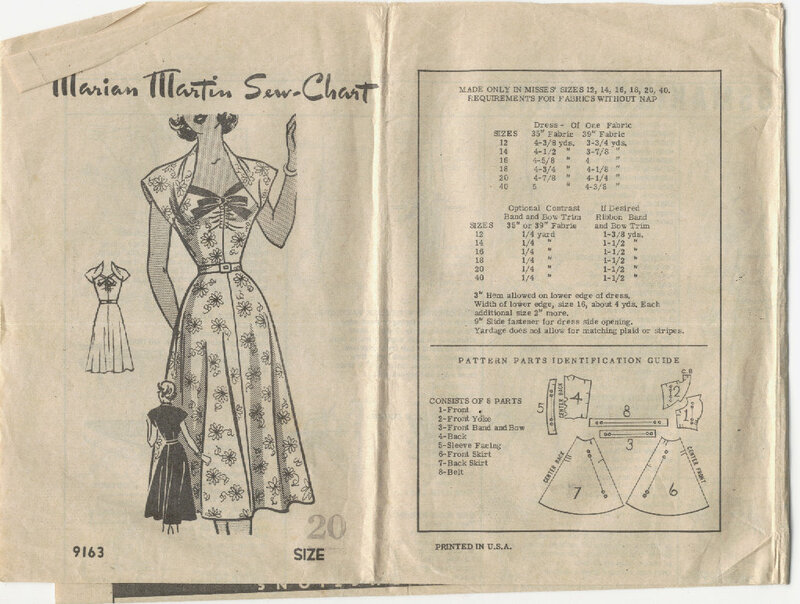 I won't be making it just yet as I'm saving myself for the Marian Martin/Anne Adams patterns I got from the US but isn't it gorgeous? Anyhow I'll be serialising parts of this magazine on my blog and possibly making some of the projects from it (with a Geeky twist) anyway, since I scanned the whole thing I've uploaded it to picasa and you can look at it's beautiful shiny pages by clicking the link below! So one thing you probably don't know is that Alex (the boy) is a huge hoarder, he comes from a long line of hoarders and to be honest, he is taking ownership of his affliction and taking steps to curb his hoarding tendancies. 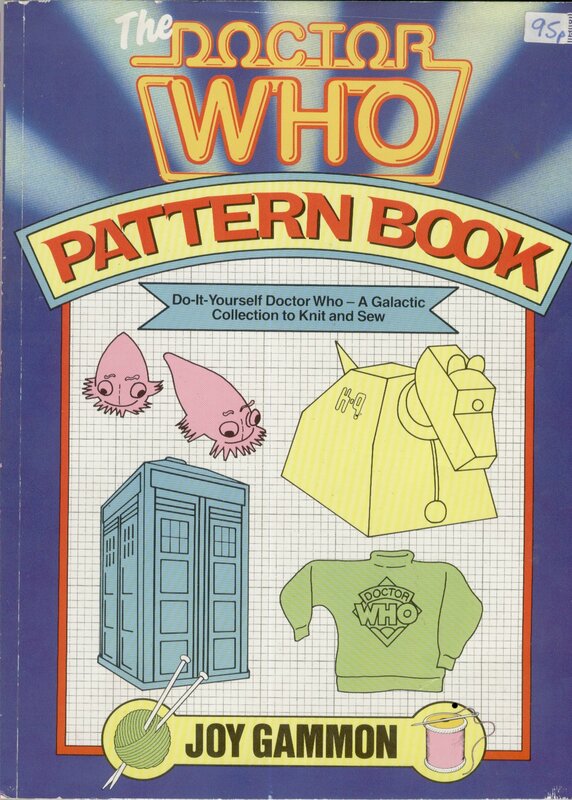 Published in 1984, as you can see this was probably bought from a charity shop for 95p, which makes it double awesome as to buy today on amazon it would set you back about £25!! And what did their Smexy dads look like? I think this is pretty cool, I also think it would go very well in the Boy's Star Wars room (don't ask... ) and he'd be able to use it to store paints, brushes, droid parts etc... I bought some fabric that's the right color, but it's polycotton and it's too flimsy. Although obviously I'd all the 'police call box bit at the top, its a bit dumb that Ms Gammon chose to omit this very important detail! well... they are now.. I never thought of them as cute before this moment. and d'you know what else is cute? 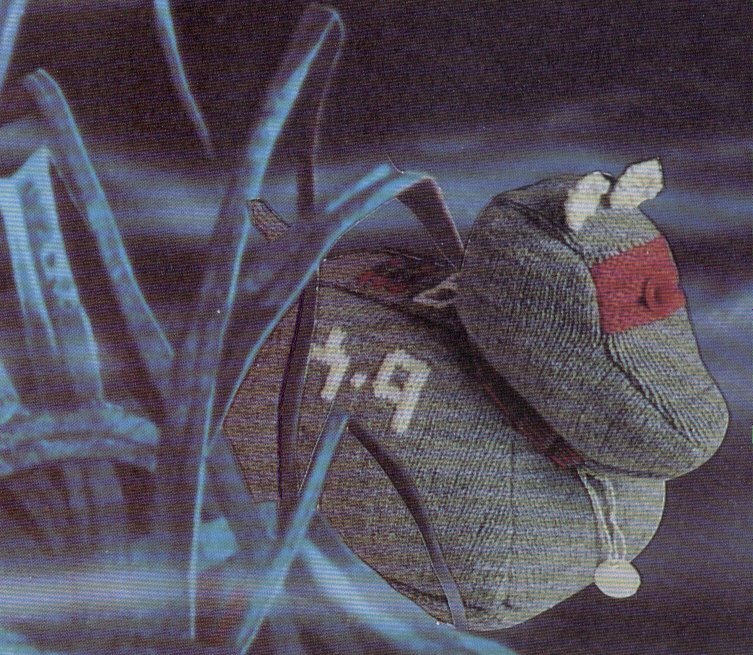 a knitted K-9! oh wow.. . I can imagine you've got to be quite skilled in the knitting stakes to get reasonable 'angles' on this... otherwise it'd just look quite unconvincing. 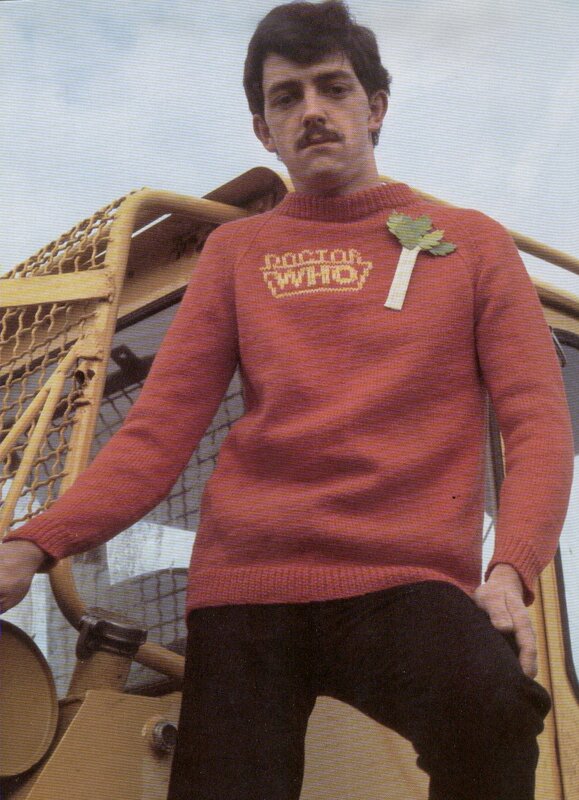 And if you don't knit, dont fear! You can sew K9 too! 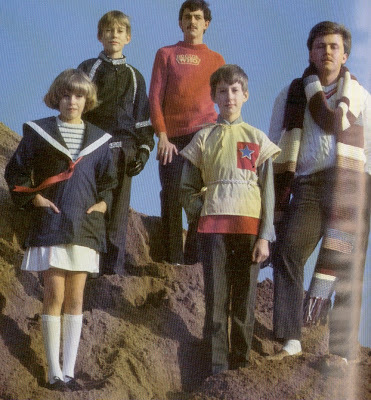 The book also includes the sewing pattern for that sailor top (apparently Romana's) ... what do you reckon the odd are of that little girl being beaten up by some angry chavs affronted by her mums hand made togs? 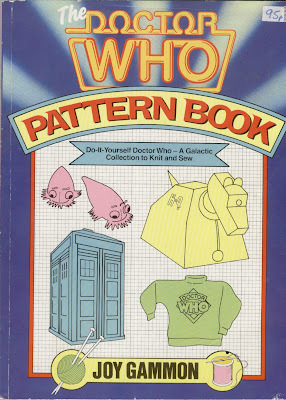 This book is awesome, you should keep tuned for various creations inspired by the patterns here.